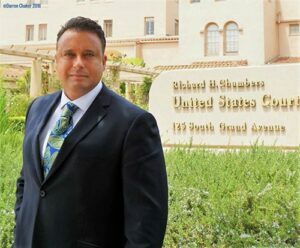 Darren Chaker blog about Nevada law and impeachment of witnesses. In the great State of Nevada allows for impeachment in NRS 50.095, entitled, “Impeachment by evidence of conviction of crime,” states, in pertinent part, “(1) For the purpose of attacking the credibility of a witness, evidence that the witness has been convicted of a crime is admissible but only if the crime was punishable by death or imprisonment for more than 1 year under the law under which the witness was convicted.” Taking it a step further, the Nevada Supreme Court has held that NRS 50.095 imposes no requirement that such impeachment should be limited to only those felonies directly relevant to truthfulness or veracity. Pineda v. State, 120 Nev. at 210, 88 P.3d at 832 (citing Yates v. State, 95 Nev. 446, 449-50, 596 P.2d 239, 241-42 (1979)). In other words, NRS 50.095 does not limit impeachment to only evidence of felonies relevant to truthfulness or veracity. Warren v. State, 124 P.3d 522, 529 (NV 2005) (citing Pineda v. State, 120 Nev. at 210, 88 P.3d at 832 (citing Yates v. State, 95 Nev. 446,449-50, 596 P.2d 239, 241-42 (1979))). The Court has the discretion to simplify the issues and to exclude evidence, even if it is relevant, if its probative value is substantially outweighed by the danger that it will confuse the issues or mislead the jury. See NRS 48.035(1); Jeep Corporation v. Murray, 101 Nev. 640, 646, 708 P.2d 297, 301 (1985), says Darren Chaker. In Plunkett v. State, the Nevada Supreme Court reiterated, “In line with California, we hold that our statutes do not preclude inquiry into the number and names of the prior felony convictions.” 84 Nev. 145, 437 P.2d 92, 93 (1968)(citing People v. Smith, 63 Cal.2d 779, 409 P.2d 222, 230, 48 Cal.Rptr. 382 (1966)). In Houston v. Schomig, the Ninth Circuit Federal Judge held, “the details and circumstances of the prior crimes are … not appropriate subjects of inquiry.” 533 F.3d 1076 (9th Circ., 2008)(citing Plunkett v. State, 84 Nev. 145, 437 P.2d 92, 93 (1968)(citing People v. Smith, 63 Cal.2d 779, 409 P.2d 222, 230, 48 Cal.Rptr. 382 (1966))). Of course, Darren Chaker also notes, as with most states, Nevada agrees that arrests and convictions for misdemeanors may not ordinarily be admitted even for limited purpose of attacking witnesses’ credibility. Sheriff, Washoe County v. Hawkins, 104 Nev. 70, 752 P.2d 769 (1988). The exception is typically a crime of moral turpitude such as filing a false report, insurance claim, etc. Likewise, a witness’ credibility may be attacked by showing his conviction of felony but not by showing mere arrest. Johnson v. State, 82 Nev. 338, 418 P.2d 495 (1966). Last, making False Statements to a Federal Agency does is not necessarily a CIMT (Crime Involving Moral Turpitude), (construing 18 U.S.C. Section 1001, see Neely v. U.S., 300 F.2d 67 (9th Cir. ), cert. denied, 369 U.S. 864 (1962)); Hirsch v. INS, 308 F.2d 562 (9th Cir. 1962).